StencylWorks 1.0.2 is a maintenance release that fixes a slew of bugs. StencylWorks will prompt you to update next time you launch. You must be a registered user to update your copy. If it doesn't prompt for an update, or if you wish to update right now, you can check for updates from the File menu. We have not updated the full package download on the site to 1.0.2. Occasionally, games would become unopenable after long enough sessions to bump into the maximum memory limit, and this limit would be hit during saving and lead to a partially written out file. Now, we take a number of steps to mitigate this. 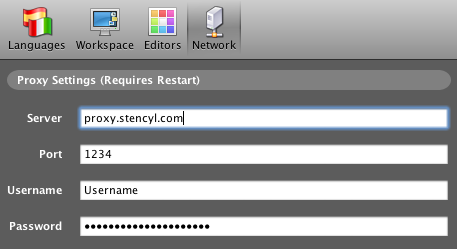 1) At 90% memory usage, we put up a warning message (once) telling you to save your work and restart StencylWorks. 2) Should any critical files get mangled, we'll detect this and replace them with backups that were auto-generated. We're working on a long term solution to the issue, but these precautionary steps should all but eliminate the problem for the time being, or at worst, minimize your losses. This will have an immediate effect on games that allow objects to rotate. Previously, the angular mass field was ignored. Now that it has an effect, it can break the physical interactions of some games. 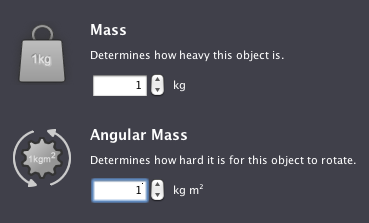 To address this, raise the angular mass of your Actors to match their mass (or go as high as necessary to make it feel right). Jon, I hope that wrong bitrate doesn't meant VBR, because from what I've tested VBR works perfectly fine in Flash (at least on my side). Great, addons to the physics engine. We'll be putting out 1.0.3 this week. Despite its name, it's got a few fixes involved and some rather noticeable enhancements that make this a near 1.1 worth release. We're holding back on 1.1 to fix a few pressing issues that have taken longer to address, such as the install directory issues. If you'd like to try these enhancements out earlier, patch your copy with the latest build. We update almost every day.